If you’re ready to replace your old thermostat with a shiny new smart thermostat, read our 6 tips first to ensure a smooth upgrade process! We learned some of these lessons “the hard way”, and now we are sharing them here so you can learn from our mistakes! The devices most commonly called “smart thermostats”, such as thermostats from Nest, Ecobee, Honeywell, etc., are only compatible with “low voltage” 24v HVAC systems. You should be certain that your HVAC is compatible before you try to hook up a smart thermostat. “Low voltage” HVAC is often called “central heat” or “central air”. A good giveaway: you have one single thermostat in your house (or multiples if you’re multi-zone) that controls a large furnace that’s tucked away in your basement or garage (there might be additional accessories such as a heat pump, too). The wires are thin and multi-colored. Likewise, there are lots of systems that are not compatible at all. For example, if you have a thermostat and heater pair in every room of your home, you probably have line voltage systems (which are not compatible with the popular smart thermostats available right now). For more help, check out our detailed guide (with lots of photos!) for identifying your HVAC system type: Is your wiring compatible with a smart thermostat? Guide to low voltage, line voltage, and more. Just because your HVAC system is compatible doesn’t necessarily mean you have enough wires. 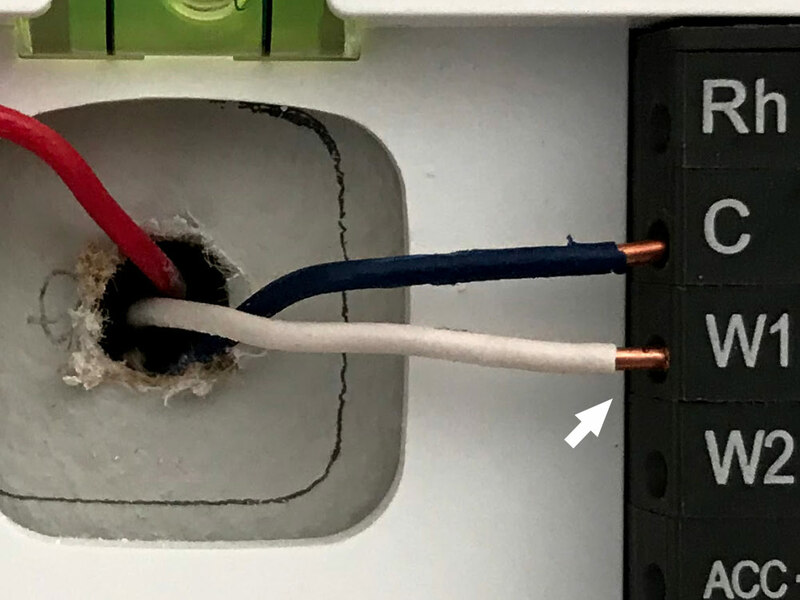 For most smart thermostats, including the Nest, you’ll likely need a wire to plug into the C-terminal to provide continuous power to the thermostat. (Maintaining a WiFi connection requires more power than your programmable or mechanical thermostat likely needed.) This may not be present on the thermostat you’re replacing. The next thing you should do, once you determine your HVAC system is compatible in the first place, is to determine if you have a sufficient number of wires. You’ll need a C-wire for most of the popular smart thermostats available today, but there are many ways to deal with the absence of a C-wire. Basically, the question of “is my wiring compatible?” isn’t always quickly answerable. It’s a good idea to determine if your wiring is compatible before you order a smart thermostat. You might have to look inside your furnace or in the wall behind your current thermostat to see if you do actually have enough wires and they’re just not in use and stuffed away, or you might have to order an adapter or new wire, or consider hiring a pro. Yes, this step is included in every smart thermostat installation manual but it’s easy to get excited and take just one or two blurry photos (or skip this step entirely). Your photos should be good enough to help you put your old thermostat back into service. 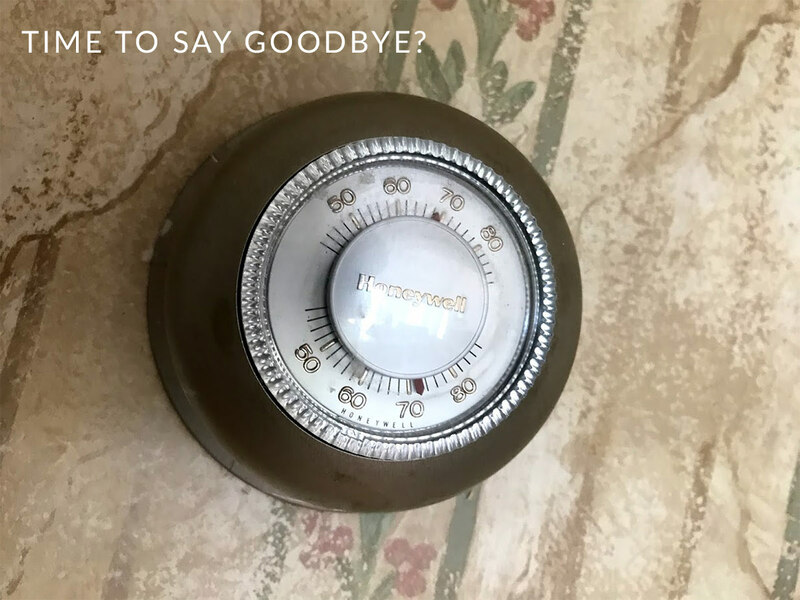 Obviously, no one wants to think about having to put the old thermostat back on the wall, but if something goes awry during the smart thermostat installation you’ll be glad you can quickly “undo” and go back to what you had before. Also, if you end up having to call support they’ll likely want to know how the old one was wired. Do your future self a favor and take some good, sharp photos of your existing wiring hookups before you take anything apart. In some homes, swapping thermostats is no big deal – the wall is painted white and always has been, the old thermostat is small and your new one is bigger – and so on. But in other homes, you might have to take on an additional “wall repair” project in addition to the thermostat replacement. The most common problems revealed when upgrading to a smart thermostat are wallpaper damage and mismatched paint that won’t be fully covered by the new smart thermostat. 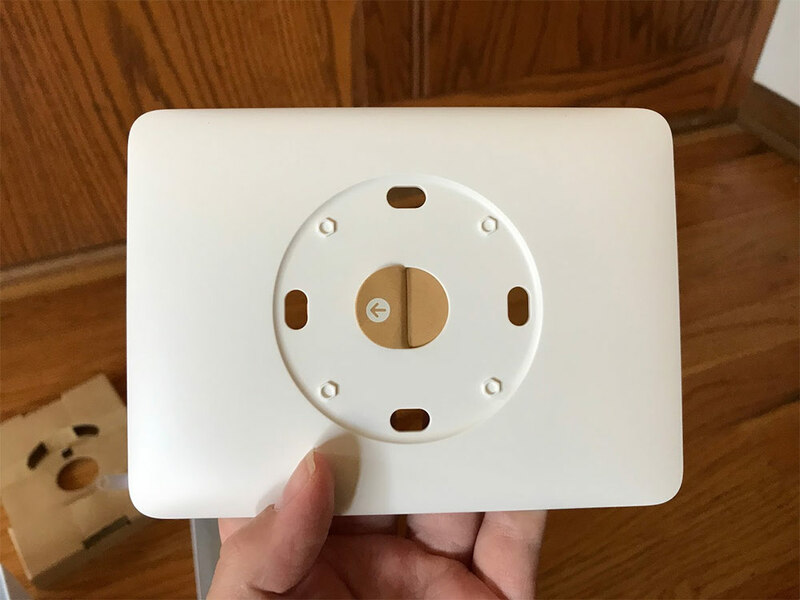 Good news: most smart thermostats today ship with a “wall plate” for covering up the mismatched paint or damage revealed by swapping your thermostat. Chances are, the wall plate has you covered. The wall plate that ships with Nest thermostats is easy to install – just sandwich it between the wall and the thermostat to hide wall damage and mismatched paint that was previously hidden by your old thermostat. But if you don’t want to use the wall plate, you might want to think (ahead of time) about whether you plan to repaint or repair the wall after you’ve put up the new smart thermostat. 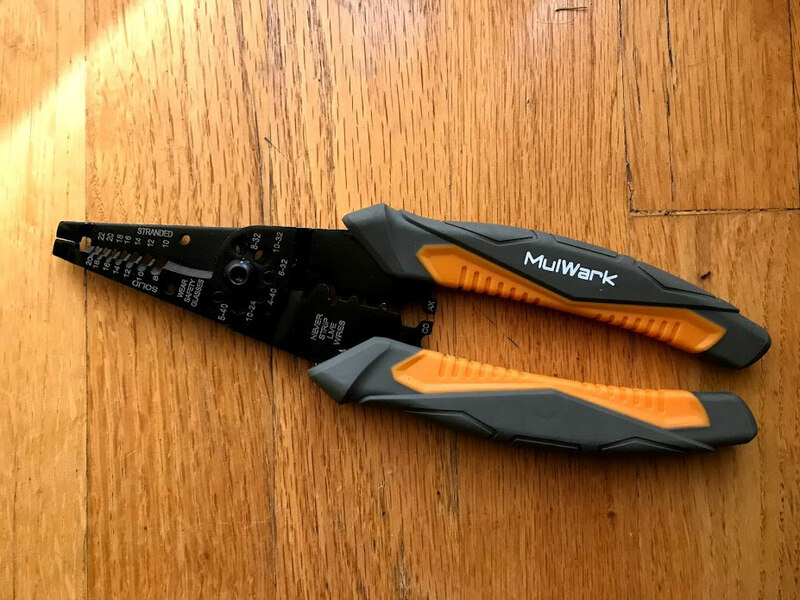 These little tips are easy to break off – save yourself some hassle by having a wire cutting and stripping tool on hand. A wire cutting/stripping tool will make a DIY smart thermostat installation go a bit smoother. Of the above, I can personally recommend having your thermostat moved to a better location (if needed). We had our thermostat moved by an electrician last winter (we bundled the work with a bunch of other electrical work we needed done) and it was absolutely worth it. Our thermostat used to sit in front of a sunny window and near our slider door, which was a ridiculous place for it: the thermostat always thought the house was warm, so why run the heat? (Meanwhile, we froze in every other room.) Then, if we opened the slider door to ventilate the kitchen after cooking, the thermostat thought it was freezing so it blasted the heat. Our thermostat is now in the hallway that runs through the center of our house – a much better place for it. A pro is also a good choice if you have any doubts about your ability to do the job (the manufacturers say it’s DIY, but it’s not always that simple in every house!) or just want it done quickly and painlessly by someone else. The peace of mind can be worth the extra expense. Don’t ask how we know this one. We know you’re excited – but it’s a good idea to wait until the weather is stable before you tear your current thermostat off the wall. help … i only have two wires from my boiler to my thermostat . . . i want a smart thermostat . . . what can I do.